Can I Be Fired for Smoking Marijuana in California? In the state of California, an employer cannot wrongfully discriminate against or wrongfully terminate an employee. If such happens, the employee can hire a discrimination lawyer or wrongful termination lawyer to sue the employer. Once a lawsuit has been filed, it will be the employer’s responsibility to show up and explain the discrimination. In recent years, a number of states are legalizing marijuana, medical and recreational alike, in one way or another. Many employees in those states wonder whether or not they are protected from being fired for smoking marijuana in a state that recently legalized its recreational or medical use. In every state, not matter the recent legalization of cannabis, employers are free to discharge employees who are under the influence of marijuana at work. But what about using pot when they’re off-duty, in their own time that does not interfere with any of their work responsibilities? In many states, employers are still allowed to dismiss employees who test positive for THC – the active ingredient in marijuana – even when the employee uses marijuana legally and outside of the workday. What are a marijuana smokers rights in the workplace in California? I am facing smoking discrimination in the workplace. My boss discriminates against me for smoking weed. Can he legally do that? Can my employer terminate me for smoking weed in my own time? Can I sue my employer if that happens? I smoke marijuana at home or during my lunch break. I do not smoke at the workplace. Can my employer legally fire me or discriminate against me for smoking weed? What are the laws regarding smoking marijuana at the workplace? Can my employer terminate me for smoking weed in California? Can I lose my job because I was smoking legal weed? Can I be fired from my job for smoking legal marijuana? What about smoking recreational marijuana? Can you get fired for smoking pot outside of work? Can you be fired for having a medical card? There are several states in the U.S. that have legalized marijuana for recreational use, including Alaska, California, Colorado, Maine, Massachusetts, Nevada, Oregon, and Washington. Not written in these laws, however, is the state’s mandate to specifically deter an employer from terminating an employee because of their legal off-duty marijuana use. Many of these states even go out of their way to state that they will not infringe upon an employer’s right to continue screening for drugs with the use of a drug test. Because a majority of state courts have ruled with the employer and have held that employers can fire employees for off-duty marijuana use, regardless of whether it is medical or recreational. Drugs are absorbed through the body in many ways, and it takes a while for the remnants of those drugs to completely leave our system. When determining whether a drug test was legal or not in the state of California, the courts balance the employer’s alleged reason for testing against the employee’s right to privacy. California tends to lean towards the rights of the employee and recognize that an employee has the stronger claim. Why? Because the employee already has the job, thus, they have a performance record which can be used against them and gives the employer less of a need to test. An employer can legally request a drug test if they have reasonable suspicion that an employee is using drugs. The suspicion must be based on objective facts. And while random drug testing is more controversial, come courts have upheld it if the position is one that is safety-sensitive. For more information about the case law on this, please contact our Los Angeles lawyers. Does My Employer Have to Alert Me for a Drug Test? The state of California does not have any existing statutes for setting up specific drug testing procedures and protocols. This means that you are subject to the rules, regulations, and drug testing policies that exist within your employer’s Work Code. If your employer’s work code states specifically when they will require a drug test, then the courts are more likely to side with the employer, since most employees are “at-will.” Being an at-will employee means that your employer can terminate your employment without any rhyme or reason – as long as the rhyme or reason does not break any laws put in place to protect individuals’ rights. 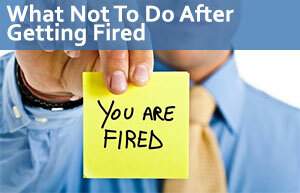 For example, an employer cannot fire an employee simply because he or she is a minority. This is in violation of the Title VII of the Civil Rights Act of 1964. So, for instance, if your employer has gathered sufficient objective evidence against you and believes that your work performance is being affected by your marijuana intake – no matter its legality – they can demand that you take a drug test and terminate you if your test results come back positive. But the drug test must be administered legally if the employer is to fire you. If the drug test was administered illegally, the employer could not take any action against the employee, regardless of whether the drug test came back positively or negatively. Federal laws do not place any restrictions on drug testing, but many states have created their own laws to help mitigate between employer and employee. The employee holds a safety-sensitive position. The test must minimize the intrusion into the privacy of the employee. Our attorney group here to ensure that your employer did not violate any laws and infringe upon your rights. We offer free consultation and a zero-fee guarantee to give you the assurance you need to know we are here to represent you to the best of our ability. When you contact us, an attorney who is highly skilled in the field of employment law will speak with you and provide you with a free case review. If we accept your case, you owe us nothing unless and until we win your case. If we don’t win, you don’t have to pay anything.